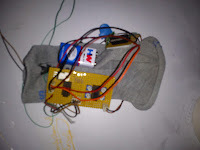 A Gesture Controlled robot is a kind of robot which can be controlled by your hand gestures not by old buttons.You just need to wear a small transmitting device in your hand which included an acceleration meter.This will transmit an appropriate command to the robot so that it can do whatever we want. The transmitting device included a comparator IC for analog to digital conversion and an encoder IC(HT12E) which is use to encode the four bit data and then it will transmit by an RF Transmitter module. At the receiving end an RF Receiver module receive's the encoded data and decode it by an decoder IC(HT12D). 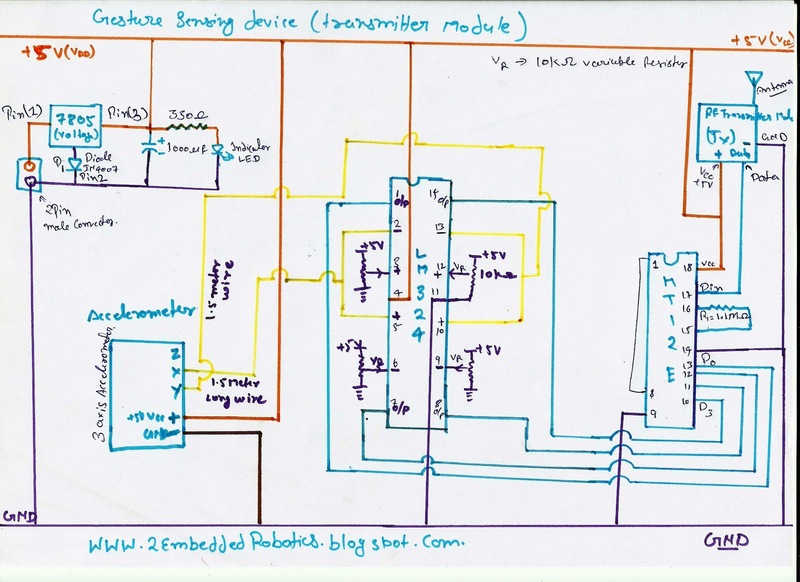 This data is then processed by a microcontroller (P89V51RD2) and finally our motor driver to control the motor's. As we can see in the images one is robot and the another is to trnsmit the gesture data to robot. 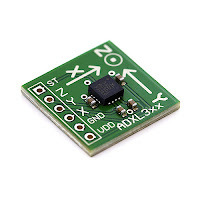 Accelerometer:- An Accelerometer is a kind of sensor which gives an analog data while moving in X,Y,Z direction or may be X,Y direction only depend's on the type of the sensor.Here is a small image of an Accelerometer shown. We can see in the image that their are some arrow showing if we tilt these sensor's in that direction then the data at that corresponding pin will change in the analog form. 2- GND- We simply connect this pin to the ground for biasing. 3- X- On this pin we will receive the analog data for x direction movement. 4- Y- On this pin we will receive the analog data for y direction movement. 5- Z- On this pin we will receive the analog data for z direction movement. 6- ST- this pin is use to set the sensitivity of the accelerometer 1.5g/2g/3g/4g. 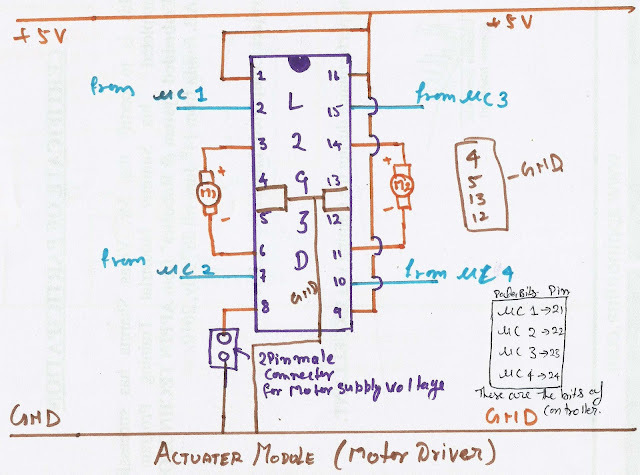 Comparator:- For the purpose to change the analog voltage into digital we use comparator which compare that analog voltage to a reference voltage and give a particular high or low voltage. 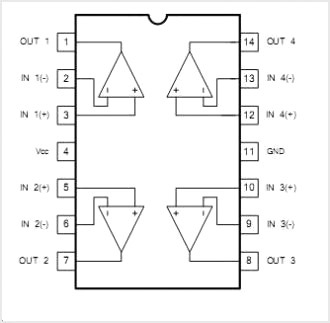 The figure shown here is comparator IC. 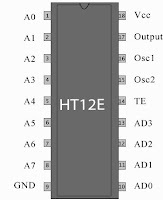 The pin 1,7,8 and 14 are use to give out put to the microcontroller.We should connect a reference voltage to the -ve terminal for high output when input is high(+ve terminal for high output when input is low) from the LM324 IC. In this circuit we compare the data from x with two terminal one for positive x direction and negative x direction and same for y direction. 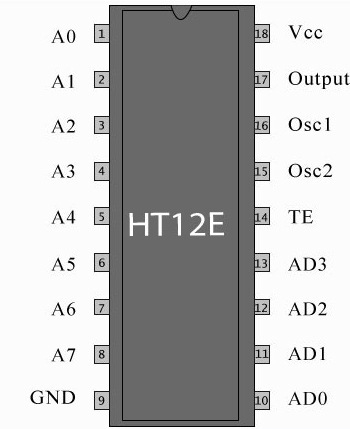 Encoder(HT12E IC):- The HT12E is an 4bit encoder which encode the input data applied on it .The pin description of the HT12E is shown in the figure . 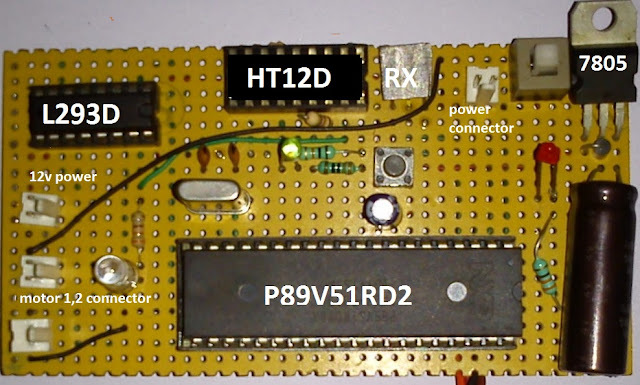 RF Transmitter Module(TX):- The transmitter module is working on the frequency of 433MHz and is easily available in the market at the cost of 250rs . 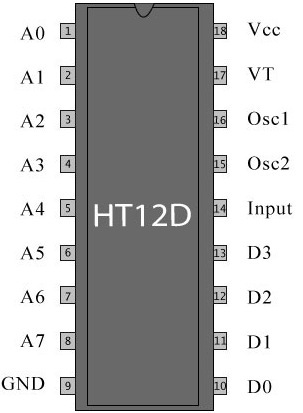 Decoder (HT12D):- In a very simple way we can say that an HT12D converts that serial data into parallel which is received by the rf receiver module.The input data is decoded when no error or unmatched codes are found. A valid transmission in indicated by a high signal at VT pin that is pin no 17. 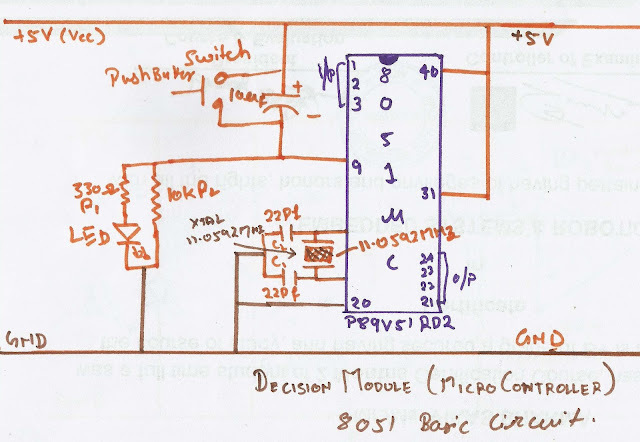 The basic circuit to initialize the microcontroller is shown below. We just need an reset circuit and oscillator to run the program. so the Data from the decoder will connect with pin 1,2,3,4 and motor should be connect with pin 21,22,23,24. For forward the data to the Port2 is 0a or for backward it is 05 then for lest its 02 and for right it is 08. ACTUATOR'S(L293D): The Actuator's are those devices which actually gives the movement or to do a task like motor's. In the real world their are various types of motor's available which works on different voltages. So we need motor driver for running them through the controller. To get interface between motor and microcontroller . We use L293D motor driver IC in our circuit. PROGRAM: Now here is the program of the Gesture Controlled robot. The program is in Embedded-C. The microcontroller we used is 8051. Here are some more pics of the robot . Leta take a look. Which 3 IC used in transmitter?? on your hand? I have used arduino uno in robot and a clone of it in glove so please can u help me with the code. can i use 89c51 or 89s51/52????? but i guess 89s52 is of 8051 family so can be used. what are the specifications of motors u hav used n also plz suggest a suitable program for this? 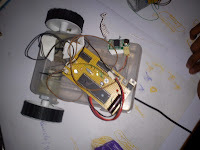 i want to make this robo as my final year project..
i need your help with the same..
plz give me the 8051 coding if possible..
Hiiii....Bro i liked ur project..and i'm also working on a similar project using accelerometer...so can u plzz...provide me the code for this project..
Did u get the code for the project?? Your projects sounds fun.i also want to work on this project.please email me the coding for the microprocessor. buddy its already there just read it. can u plz mail me the code?? thank you..!! 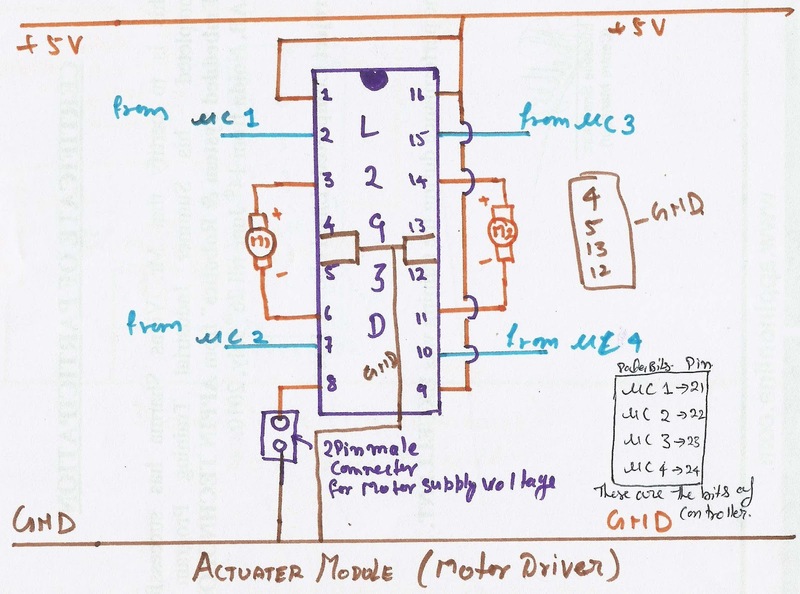 can u plz mail me all stuf for this project plz its urgent..
sir i want 2 ask how correct comparator ic LM324 is converting analog signal from accelerometer into digital? Is this conversion reliable? 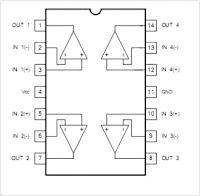 what is the range of smallest movement of hand in any direction (example forward) so that LM324 can give precise digital output ? 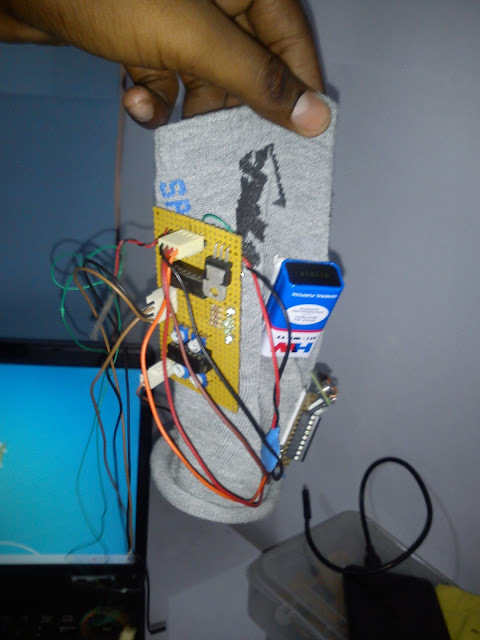 let me Point out one thing, you are using ADXL335 accelerometer, ryt? Maximum Vss of it is 3.6V but you are giving 5v to it which will burn it. please can anyone mail me the code for the above project . i am really struck with the programming part of this . 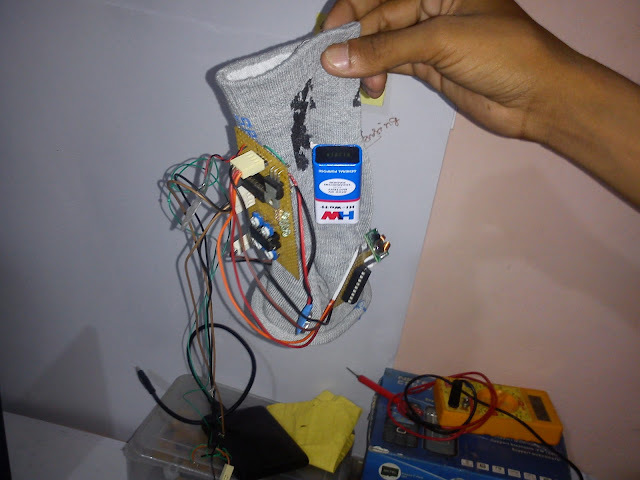 Please help me out with the programming its really urgent for me..
i have used ATmega 16 microcontroller. i want to do this project.Can you please send me the code. wat is the use of this robot...???? can u tell me how to use the output of z axis in accelerometer. in the above diagram of transmitter, only x and y outputs are used. 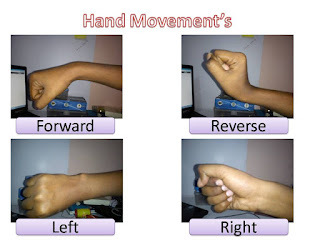 in left and right movement , there will be change in all three axis???? Z axis is for up and down movement. You cannot move your car in up and down direction. but there will be changes in co-ordinates if we r using 3 axis . sir need the full detail about accelerometer based gseture recognition. Sir i am almost done with this project and i have verified and checked each block of it which is working fine. 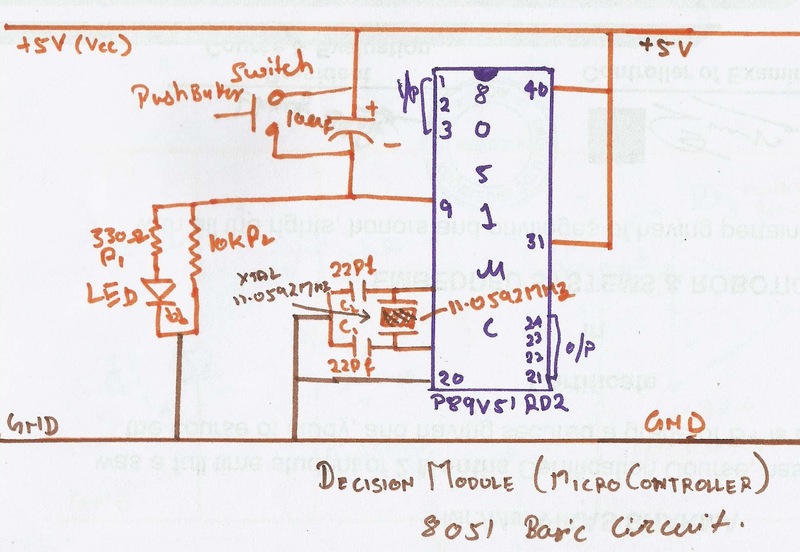 The only problem i am facing right now is with the microcontroller. I have burnt the program which you have mentioned on the blog. But when the uC gets the input at port1 it does not give the desired ouput at port2. 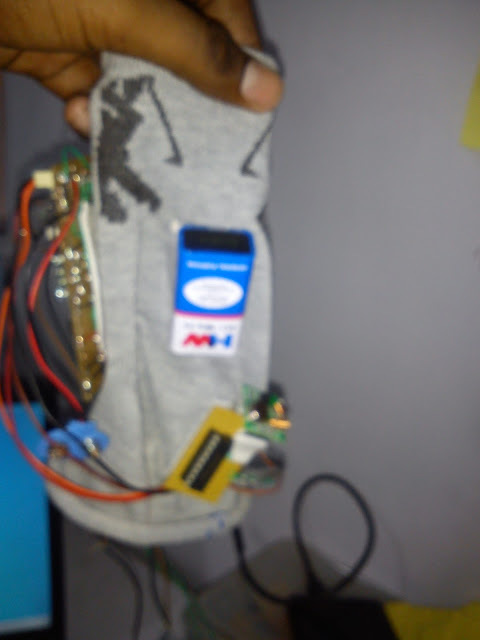 Infact all the pins at port2 give a zero voltage output even after the variations of the accelerometer. I am not able to figure out right now what can be the problem with this. Can you please help me with this as i need to submit my project in next week itself. Helo sir, i'm also working on a similar project using accelerometer...so can u please...provide me the code for this project. I am using atmel at89s52 Microcontroller. It is also a 8051 mc.. Hope u'll ASAP..
Sir, it is a great idea but i m having a problem. How can we program the 8051mc. PLZ rply as soon as possible. according to the circuit the signals are high for encoder ic..............but the data sheet says data pins are active low.........????? sir i need the full detail about accelerometer based gseture recognition. Can u mail me the deatils on vishal.life92@gmail.com? hello friend the program is already in the blog...after the circuit. I want the PCB layout of transmitter and receiver. can i simulate this project in proteus /multisim ? Thanks of sharing this post…Python is the fastest growing language that helps to get your dream job in a best way, so if you wants to become a expertise in python get some training on that language. what is the max. distance between transmitter and receiver? can i use 89c51 instead of p59v51rd2? can we use 89s51 or s52?????????????????????? • Its really helpful for me. Suppose if anyone want to find real time coaching center.recently i did some blog may visit.. Thank you for useful inoformation! Our image gallery is a wonderful section. View the gallery to see lab, seminar, workshop, projects and instruments, infrastructure, student photos etc. Call for more updates 9310096831. Thank you a lot for providing individuals with a very spectacular possibility to read critical reviews from this site.Great blog. Great article. 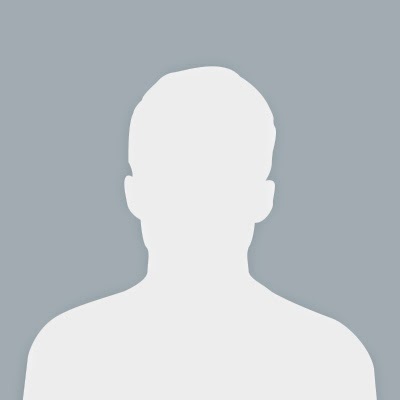 I feel really happy to have seen your webpage and look forward to so many more entertaining times reading here. Thanks once more for all the details. Python Training in Chennai | Application Projects in Chennai. Very nice post. Thanks for your sharing such a wonderful post. Phd Research Projects in Chennai | Embedded Projects in Chennai. Great post.I am actually getting ready to across this information, its very helpful for this blog.Also great with all of the valuable information you have keep up the good work you are doing well. Advance Java Training in Chennai | Android Training in chennai. Nice and good article. It is very useful for me to learn and understand easily. IEEE NS3 Projects in Chennai | IEEE Electronics Projects in Chennai. 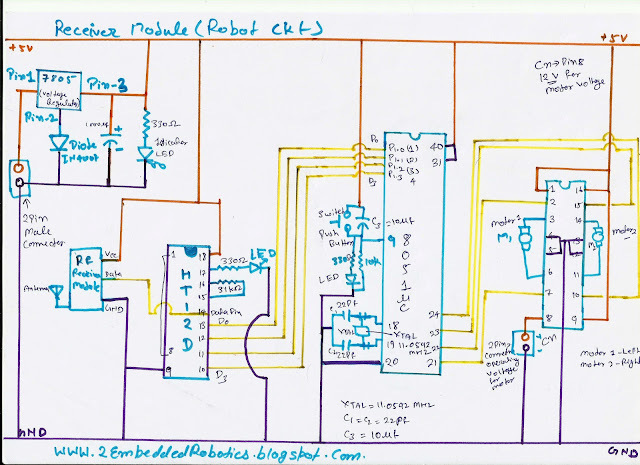 Final Year Vlsi Project Centres Chennai | Final Year Robotics Project Centres Chennai. Very Informative blog. Thanks for sharing the information. I undoubtedly appreciate you for making such a compelling article accessible among us. Got to learn a lot going through this article. Keep sharing. Wow, Excellent post. This article is really very interesting and effective.you are posting a good information for people and keep maintain and give more update too. 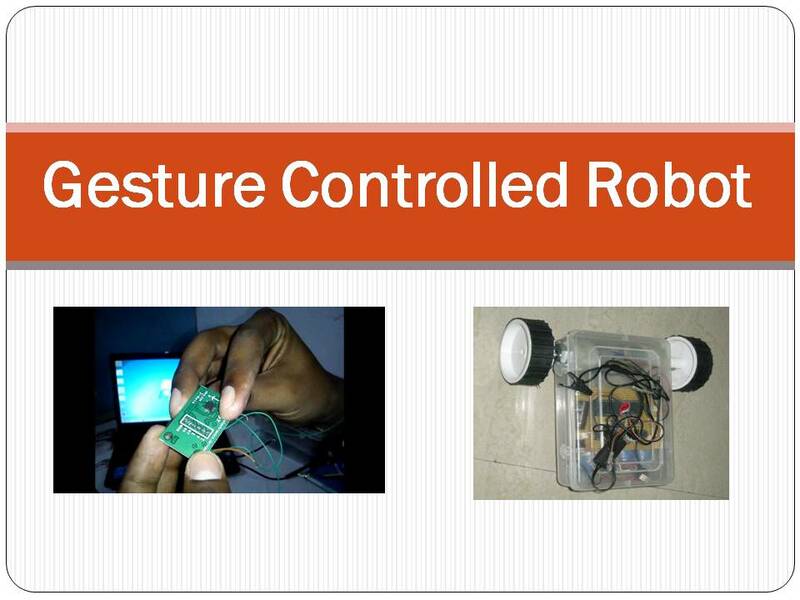 We offer robotics training at our institute through our expertise faculties. 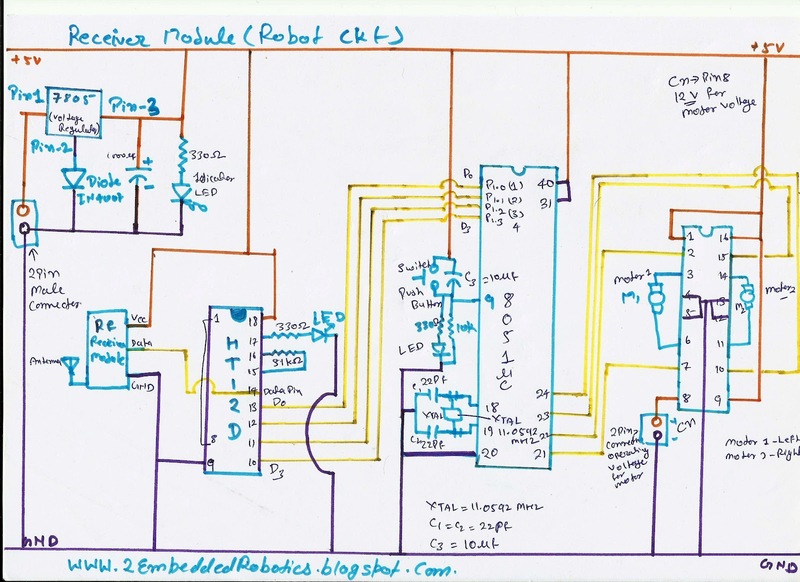 Learning robotics will help you to hold a job position such as Specialist, technician, or robotics Engineer in the leading companies of the world.Call @9953489987. Students are made to understand the type of input devices and communications among the devices in a wireless media. IOT Training course observes iot as the platform for networking of different devices on the internet and their inter related communication.